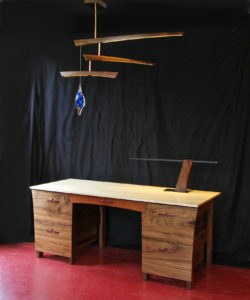 A writing desk in various colorful woods with a steel and walnut desk lamp and an adjustable mobile chandelier with blown glass counterweight. 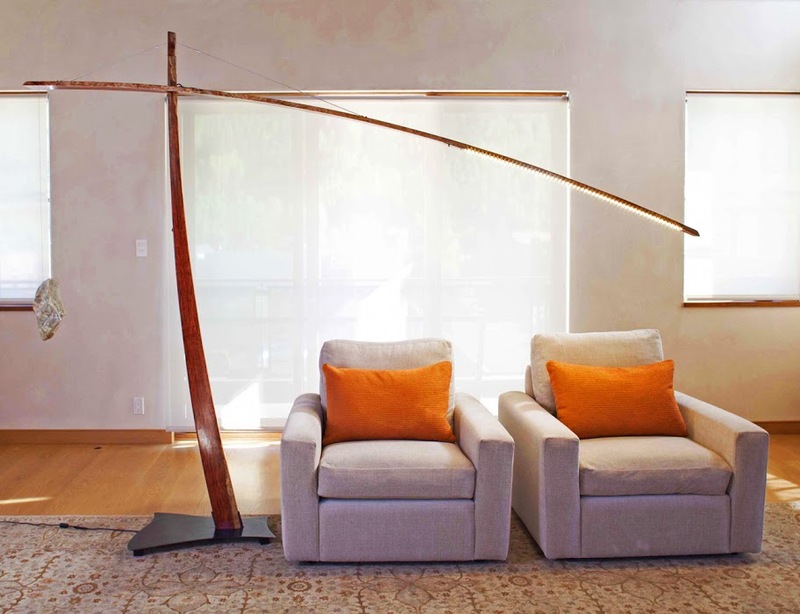 The Crane lamp in figured bubinga. 8'6" tall, 10' long. Customizable dimensions. 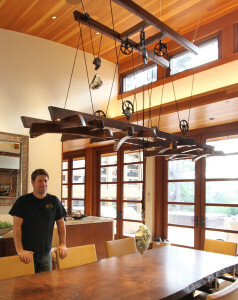 An eight foot adjustable counterweight chandelier for a large dining table in Carmel, CA. 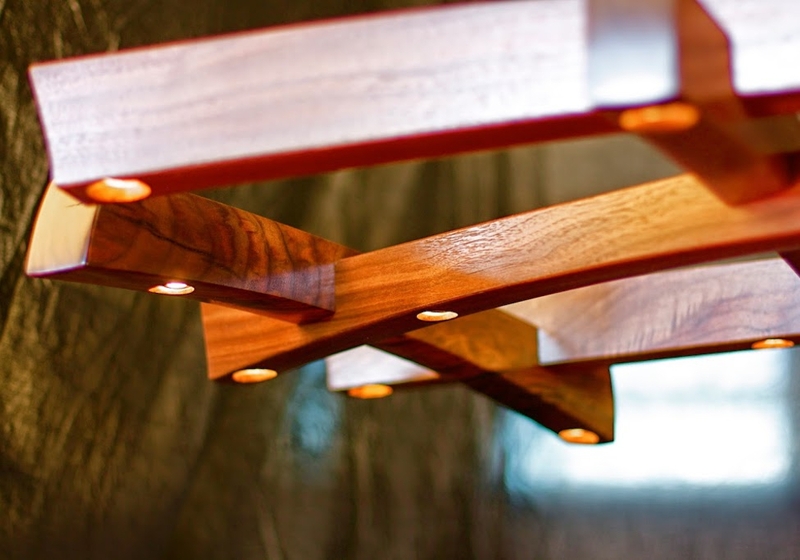 A closer look at the joinery and lighting within the chandeliers. 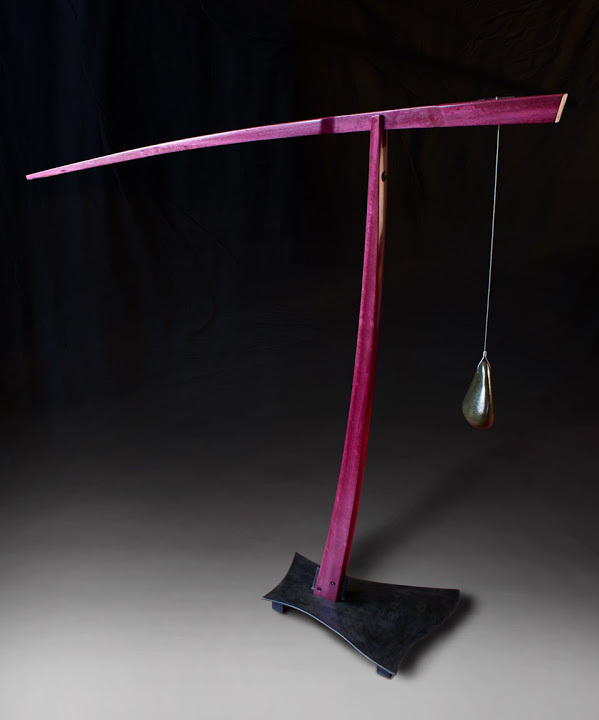 The Paige lamp in Purpleheart. 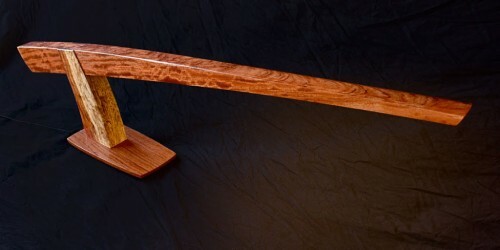 Amazingly, this is the natural color of the wood with a clear finish. 4' tall, 5' long. 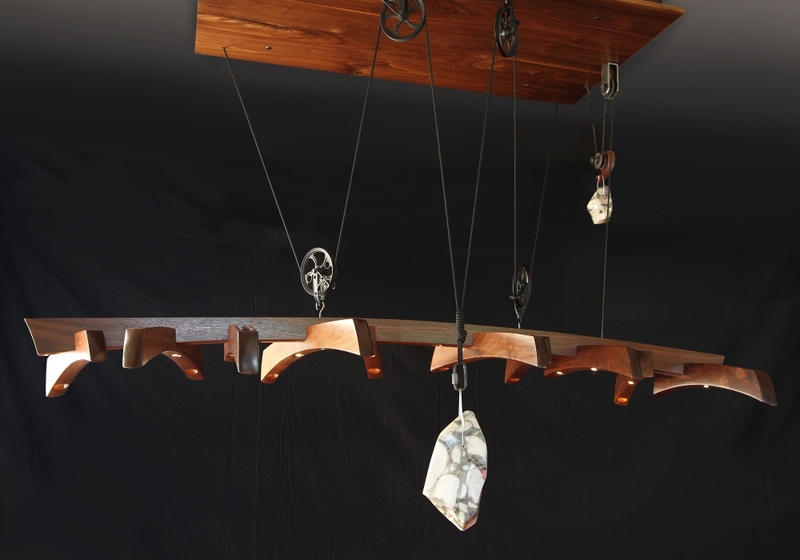 The four pulley walnut chandelier with adjustable stone counterweights. 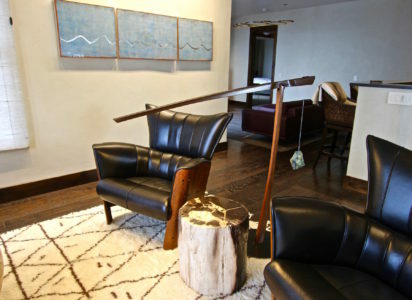 The Paige lamp in Rosewood with polished quartz counterweight. 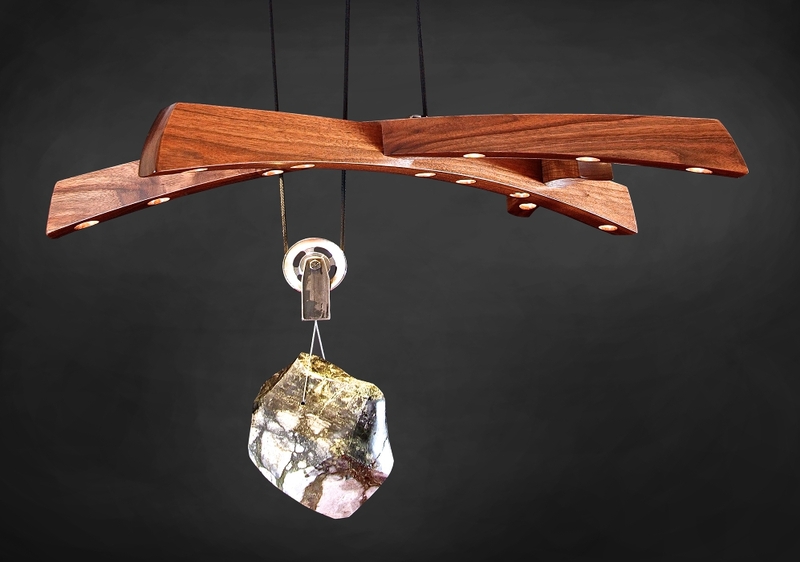 The waterfall wood desk lamp. 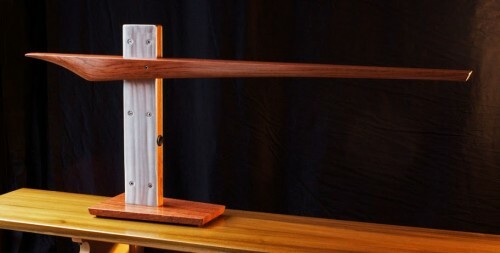 Walnut, purpleheart, steel. 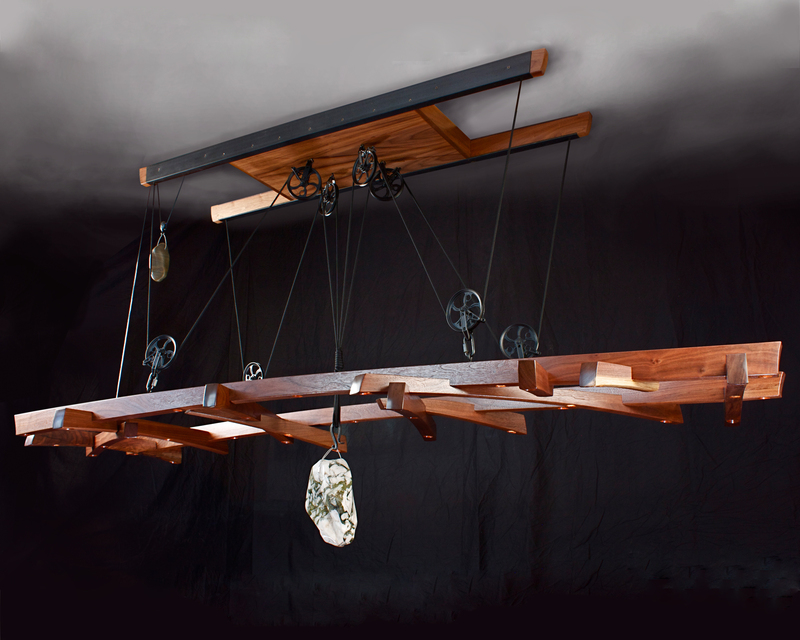 The two pulley chandelier with quartz and greenstone adjustable counterweight. 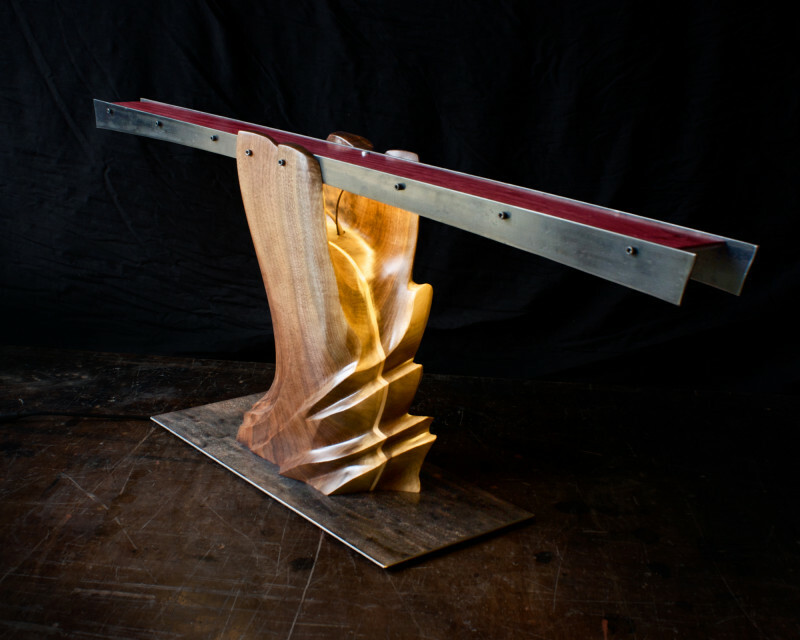 Desk or table lamp in figured bubinga wood. 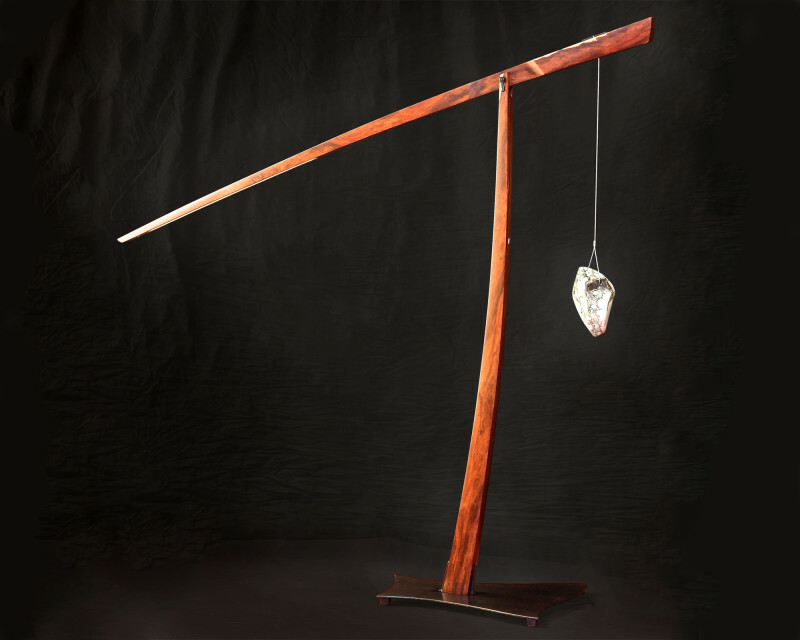 Table or desk lamp employing the use of steel, bubinga wood and LED lighting. 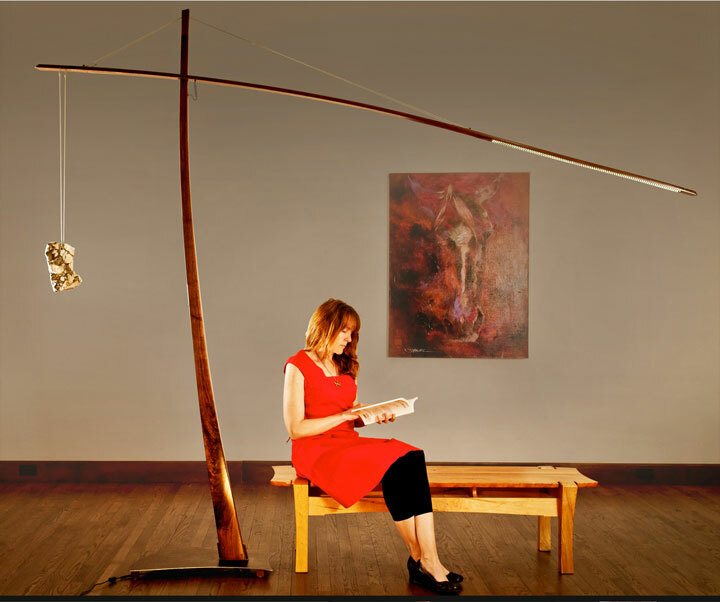 The Paige floor lamp in walnut with swiveling base. 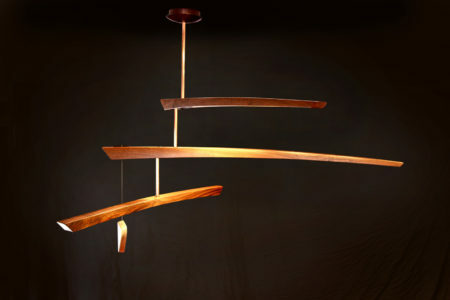 4' tall, 4' long. 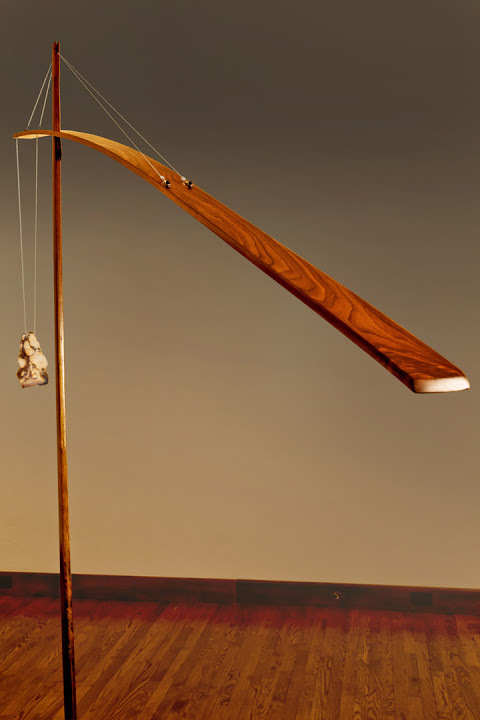 The Crane lamp in walnut. 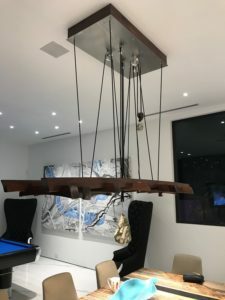 The Crane lamp from above. 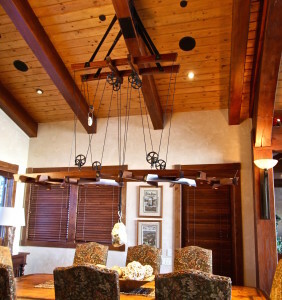 The eight pulley chandelier. Various lengths for rectangular dining tables. 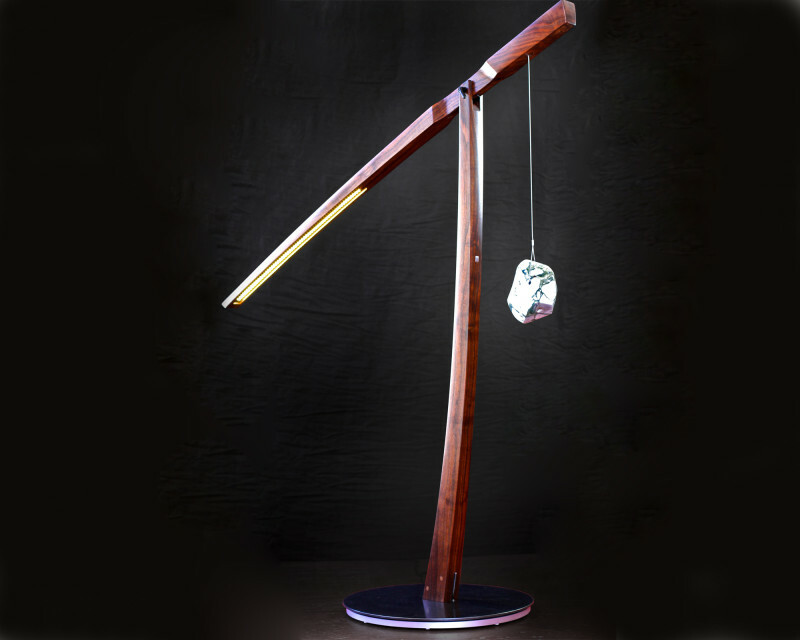 Polished stone counterweights. 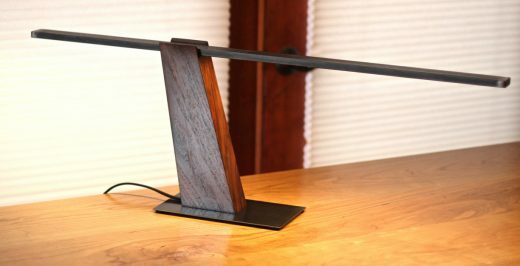 Desk lamp in walnut and steel. Dimmable LEDs. Various heights and lengths available.